Few places epitomise what camping is all about better than the Peak District National Park, a spectacular landscape in one of the most inspiring parts of the UK. When it comes to the great outdoors, the Peak District is a good place to start and whichever campsite you chose you’ll have exquisite views and a network of footpaths on your doorstep. 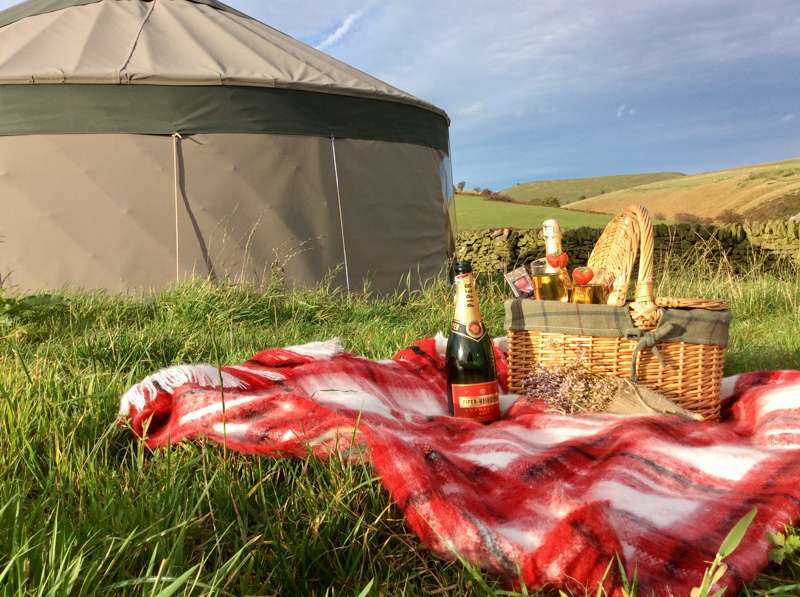 If you’re not hotfooting with a tent and backpack, then there are good campsites welcoming caravans and campervans too, as well as some year-round glamping options like shepherd's huts, yurts and cabins. The Peak District was Britain’s first national park and is a hive of outdoor activity in the heart of the country. Walking, cycling and climbing in the Peak District are some of the best ways to enjoy its heather moors, rocky outcrops and rolling dales so it’s no surprise that there’s a healthy camping scene here too. 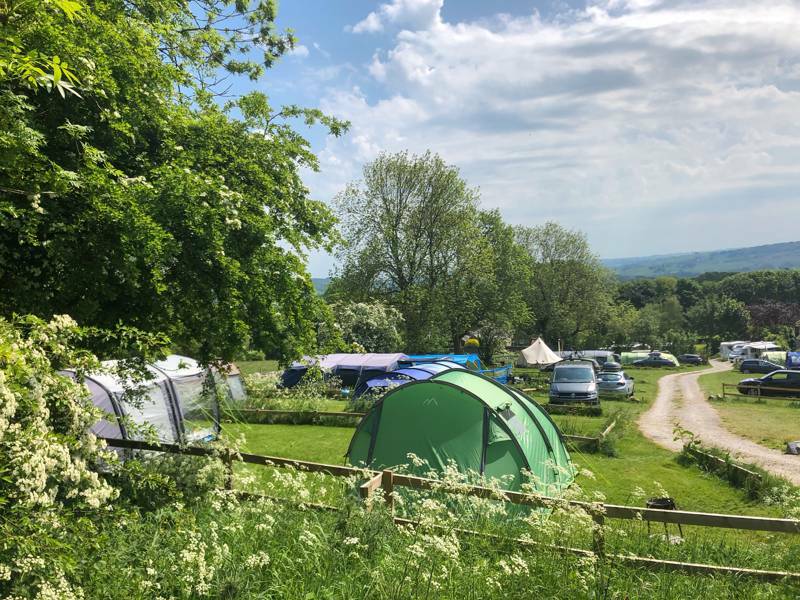 There are some great Peak District camping and glamping sites in the national park which protects more than 500 square miles of land between Sheffield and Manchester. We’ve carefully selected the best of them to feature in this collection. Some are back-to-basics sites that offer a place to pitch your tent in secluded surroundings while others offer a luxurious glamping retreat for a relaxing break amid dramatic scenery. All are great places to be based within or close to the national park with easy access to hundreds of miles of footpaths, family-friendly trails and other Peak District National Park attractions including caverns, historic houses, pretty villages and market towns. There’s something special about old-fashioned tent camping in the Peak District, the place where the idea of a national park and the “right to roam” was born. You can pitch your tent in the heart of the national park knowing that you’re as close to nature as it’s possible to be and unlikely to leave a lasting footprint on the place you’ve come to enjoy. It fits in with everything that a national park stands for: giving the public access to open countryside while protecting its special landscapes. Camping is great value, eco-friendly and can give your holiday an adventurous edge. 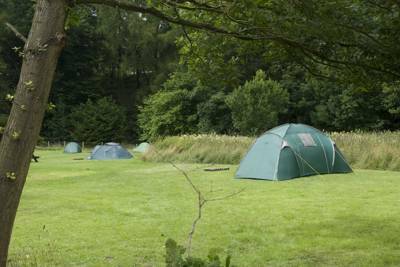 There are plenty of classic campsites in the Peak District from farm-based sites where you can immerse yourself in rural life to more manicured places with the facilities to match. We’ve checked them all out to bring you our Cool Camping collection and it’s easy to hone in on the type of places you like with our tick-box “Refine Search” feature. So whether you're looking for campsites that allow campfires or want a family friendly spot, we'll have you covered. 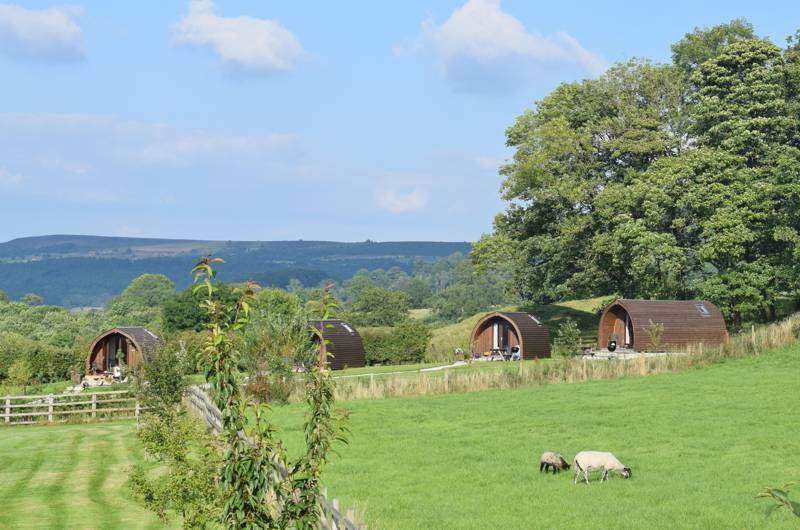 If you prefer a little more protection against the changeable elements of this green and pleasant land, a glamping holiday in the Peak District might tick your boxes. 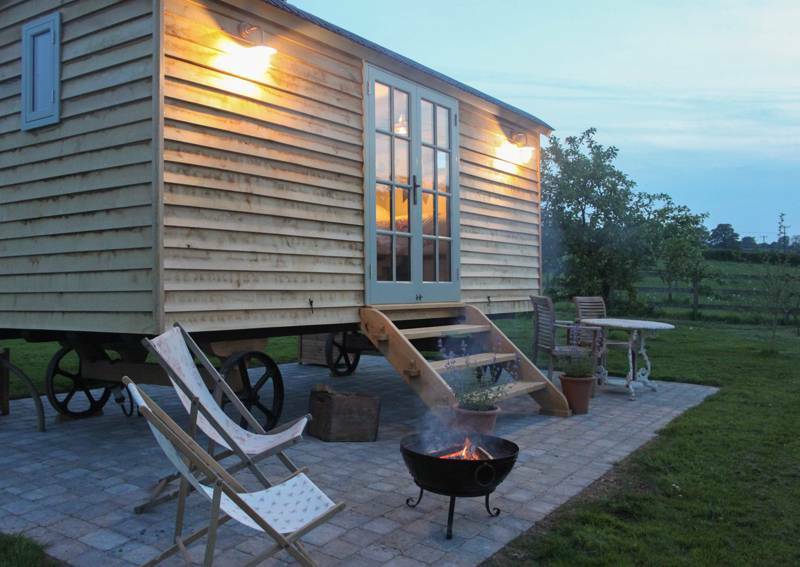 And there are plenty of glamping sites included in our collection too. 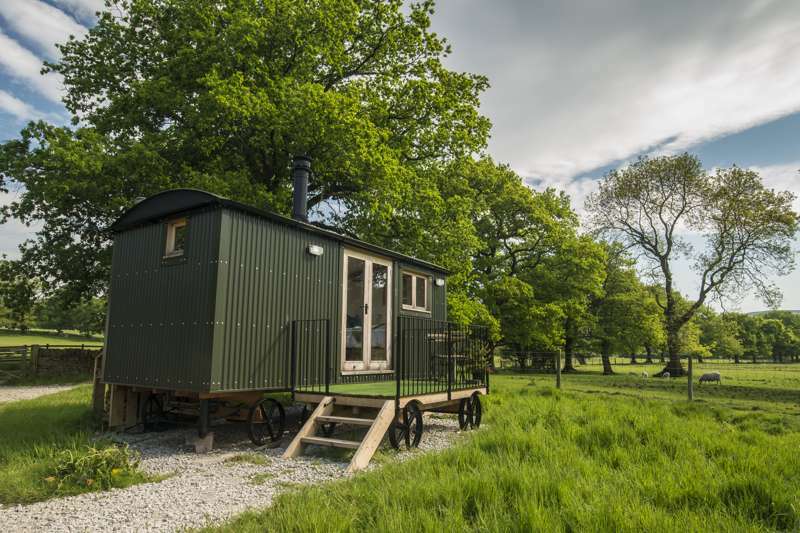 We’ve checked out everything there is to see on glamping sites across the UK including treehouses, tipis, geodesic domes, gypsy caravans, shepherd’s huts, bell tents, yurts, safari tents and more. 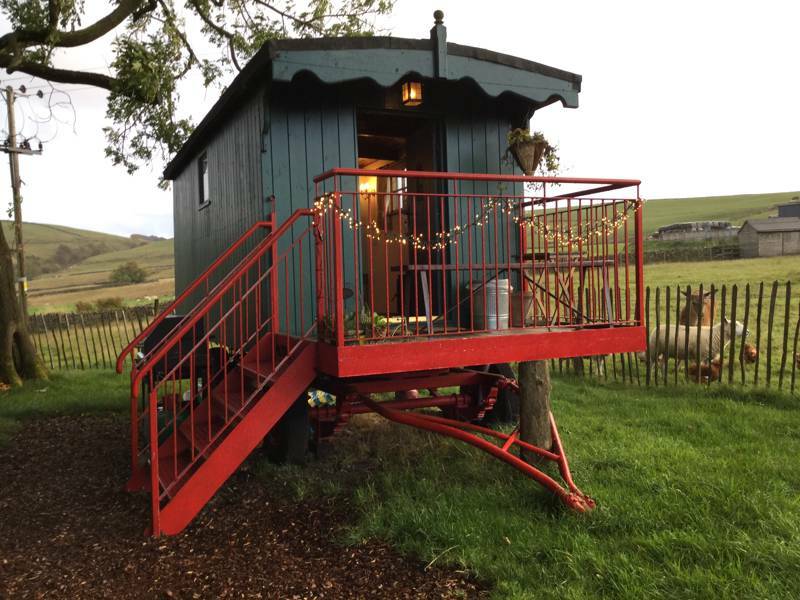 The Peak District has a great range of glamping options from basic bell tents which give the feel of classic camping (with none of the hassle) to ultra-luxurious yurts and cabins where you can rest your tired legs in a soothing hot tub. The range of accommodation is growing all the time and we’re constantly updating our collection to make sure we’re on top of the most exciting developments in the world of camping and glamping. If you’re interested in the newest glamping and camping sites, take a peek (pardon the pun) at our new campsites page, where we publish the very latest finds. The peaceful moors and drystone-wall bounded meadows of the Peak District may seem an unlikely place for a protest but so it was way back in 1932 when a “mass trespass” took place on moorland at Kinder Scout. The move, by 400 motivated ramblers, was one of the key actions that led to the creation of national parks with the Peak District National Park the first to be designated in 1951: giving people the right to roam in open country. The listing of the Peak District as a national park refers to its heather moorland, gritstone edges and limestone dales. The official boundaries mark out 555 square miles across parts of Derbyshire, Yorkshire, Greater Manchester, Staffordshire and Cheshire. Of this, there are 200 square miles of open access land for walkers as well as hundreds of miles of footpaths and family-friendly trails for walking, cycling and horse riding. It’s one of the most popular places in Europe for rock climbing and there’s also plenty to see underground too with a number of both natural and manmade caves and caverns open to the public. Situated, as it is, in the middle of the country and spreading over so many county borders means it is fairly accessible for pretty much everyone. There are two distinctive areas of the Peak District: Dark Peak and White Peak. Though they sound like opposing forces in the battle between good and evil we can assure you both are equally worth exploring! Dark Peak is the northern part of the Peak District where peat bogs and gritstone give the landscape a dark hue. It’s the wilder part of the national park on the southern edge of the Pennines and is more sparsely inhabited. It’s a great place to walk among the heather moorland: timeless and atmospheric even on a grey day and especially beautiful in summer when the heather is in flower and forms a carpet of purple. For a really long walk in Dark Peak you could head for the long-distance walking trail, the Pennine Way, which starts at Edale in this part of the park. It’s probably worth mentioning that the whole route is 267 miles and ends in Scotland – so not really an afternoon’s walk to set out on during a camping or glamping holiday in the Dark Peak part of the Peak District! You’ll also find Kinder Scout, the high moorland that was the scene of mass protest in support of the right to roam in 1932, here. It’s now a national nature reserve. A four mile stretch of gritstone at Stanage Edge offers a high escarpment from where there are stunning views making it popular with both rock climbers and walkers. It might look familiar to Austen fans as it was atop this rock that an iconic scene from the 2005 film of Pride and Prejudice featuring Elizabeth Bennett, played by Keira Knightley, was shot. For camping or glamping near Stanage Edge and the Dark Peak, you might like to look for sites near the village of Hathersage. The Hope Valley, one of the most popular parts of the Peak District, crosses the national park east to west and provides a natural boundary between the Dark Peak in the north and the White Peak in the south. Some of the best views of the surrounding countryside can be found on walks from this area which centres around the village of Hope. Possibly the best vista can be enjoyed from Mam Tor which is reached via stone steps and offer panoramic views over the whole area. The geology and general look of the southern part of the Peak District is quite different from it’s northern neighbour. With farmland and hay meadows surrounded by dry stone walls, it feels altogether tamer. Here, the terrain is gently undulating grassy dales and limestone plateaus in contrast to the jagged gritstone edges of the north. There are clear streams, rivers and ash woodland. Dovedale is a popular beauty spot and great area for walking and wildlife watching with an iconic river crossing on stepping stones. The White Peak area is more populated and there are some interesting places to visit on days out including the magnificent Chatsworth House, seat of the Duke of Devonshire, and Bakewell – home of the Bakewell Pudding and the Peak District’s largest town. You could spend days idly wandering the heather moorland of the Dark Peak and yet more days rambling alongside streams in the White Peak and have the most fantastic time in the Peak District but you might risk missing out on some of its most spectacular spots and sights. That’s why we’ve put together a list of some of the most beautiful places to visit and some of the things you might like to see and do in the region. A great place to start your camping or glamping holiday in the Peak District is at Kinder Scout where, it could be said, the national park began. You can follow in the footsteps of the ramblers who paved the way for the “right to roam” back in the 1930s: the National Trust describes a challenging five-six hour walk that will help you explore the area. Whether you’re a hiker, a climber or simply love a good view, you won’t want to miss out on a visit to Stanage Edge a four-mile gritstone edge offering great views across the Dark Peak. The Peak District is a great place for climbing. Experienced climbers will find dozens of routes to try and beginners can join one of the many outdoor adventure companies offering tuition and equipment hire. A walk or run up the National Trust-protected Mam Tor at the western end of the Hope Valley will take you to an elevation of more than 500 metres from where you can see panoramic views. A perfect route for families, the High Peak Trail is a 17-mile, traffic-free trail for cycling, walking and horse-riding along the route of a former railway. One of England’s most magnificent stately homes, Chatsworth is home to the Duke of Devonshire. A visit here might provide a bit of a contrast to your tent or glamping accommodation but with the house, gardens, playground and farmyard you’ll be entertained for the whole day. The River Dove runs through Dovedale, a National Trust Nature Reserve, which is a picturesque place to walk, picnic and look out for wildlife. While you’re in the area it’s almost obligatory to cross the river on the Dovedale stepping stones. The Peak District’s largest town, Bakewell is a pretty place on the banks of the River Wye. It’s a great place to stock up on provisions, buy souvenirs and most-importantly try the local produce: including Bakewell pudding which was invented here. There are dozens of caverns and caves in the Peak District where you can explore underground and marvel at stalactites and stalagmites. Sitting round a campfire in the middle of the Peak District is the perfect time to brush up on your astronomy skills or simply to gaze in wonder at the stars. There are also three designated Dark Sky Discovery Sites at National Trust car parks where conditions have been deemed perfect for stargazing. 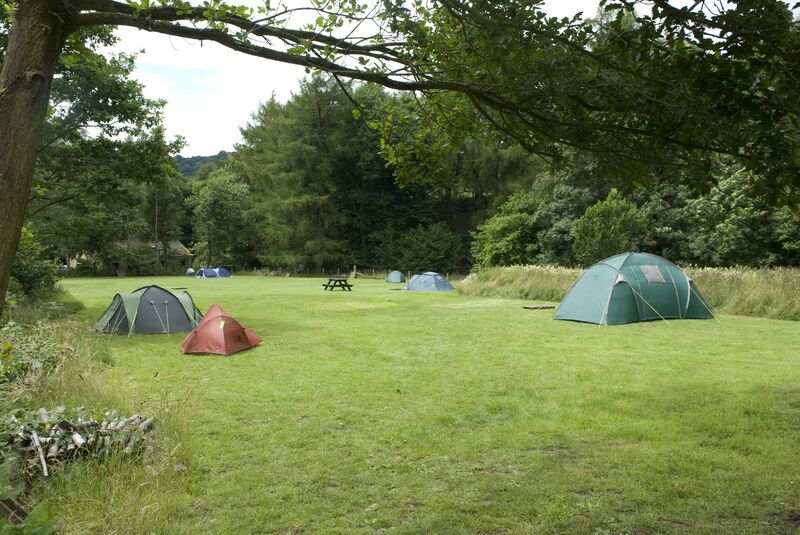 Peak District at Campsites in the Peak District, Planning a Peaks adventure? Discover the best campsites in the Peak District here, including tent-only camping, campervan pitches and even luxury glamping options, all chosen by the expert Cool Camping team.